Mata Nui Online Game II: The Final Chronicle is semi-canon. The Mata Nui Online Game II: The Final Chronicle, also known as the MNOG II or informally as the MNOLG II, is the sequel to the Mata Nui Online Game from 2001. The online game was released in 2003, created by Templar Studios, and was the first online game released since The Battle for Mata Nui. It was briefly taken offline while BIONICLE.com was redesigned during 2004, later coming back online as a Kanoka Club exclusive. As of 2008, it was available for free on BIONICLE.com but was again removed in 2009 and is currently only available through unofficial downloads, such as on BZPower. May 29, 2003: A Beta Test is made available to members of BZPower. It consists of the first few tasks Hahli had to perform for Amaya. June 26, 2003: The game is officially launched. To allow her to explore Ga-Koro, you can now get a Large Shell and Bamboo Disk to open the bridge. Hahli can explore all of Ga-Koro, but cannot leave because the town gate was locked. She retrieves the Charms of Unity, Purity and Speed. July 17, 2003: Turaga Nokama returns to Ga-Koro and chooses Hahli to be the Ga-Koro Kolhii Team's forward. Hahli challenges the Onu-Koro Kolhii Team and is able to explore the Ga-Wahi coast. August 27, 2003: A pathway opens up in the Ga-Wahi cliffs and Hahli is able to travel to both Onu-Koro and Ko-Koro. While in Onu-Koro, Hahli retrieves the Charms of Prosperity and Stamina. Hahli challenges the Ko-Koro Kolhii Team and retrieves the Charms of Destiny, Peace and Willpower. The third pathway in Mata Nui's interior is unaccessible because of a waterfall blocking the path. The Onu-Koro highways to Ta-Koro and Po-Koro are also blocked. October 13, 2003: A pathway along the road to Ko-Koro appears and Hahli is able to travel to Le-Koro. Hahli challenges the Le-Koro Kolhii Team and retrieves the Charms of Faith and Accuracy. November 3, 2003: A log appears over the waterfall-blocked path, allowing Hahli to travel to Po-Koro and challenge the resident Kolhii Team. She also retrieves the Charms of Creation and Strategy. A suspension bridges also appears on the path to Le-Koro and Hahli is able to travel to Ta-Koro and challenge their Kolhii Team. There, she retrieves the Charms of Duty, Courage, and Strength. January 9, 2004: After winning all of the Kolhii matches, Hahli travels to Ta-Koro to compete in the Kolhii Championship. She and Macku are victorious, and Hahli travels to each Koro to receive accolades from each Turaga. While she is in each village, she retrieves the Crystals, retrieving Ta-Koro's Crystal of Courage last. Hahli witnesses the destruction of Ta-Koro and the arrival of the Rahkshi. She places the Crystals on statues on the Ta-Wahi Beach, which prompts Nokama to bestow the title of Chronicler on her. Much like its predecessor, the game was not approved by the BIONICLE story team. However, it does not appear to contradict or conflict with other existing canon storyline. The names of the non-playable Matoran introduced in this game are not considered canon, but the characters are. Several of the names were reused in the Toa Metru Mini Promo CDs, although it is unclear whether or not this makes them canon. This game introduced new facets of Matoran mythology, such as the Principles and Kolhii Skills of each Koro. 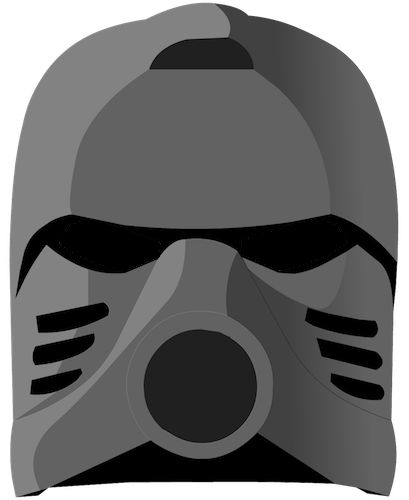 It also gave a name to the character of Ahkmou who had previously appeared in the Mata Nui Online Game and was known by fans by the moniker "Koli Ball Traitor." Furthermore, the game introduced some of the Matoran who would be revealed in 2004 story to have been the finders of the six Great Disks. Many of the Matoran names featured are derived from a variety of real-world languages. The Kolhii matches within the game are played for a set amount of time, with the winner being whichever team has more points when time runs out. However, according to the BIONICLE encyclopedias, matches are won when one team scores an agreed-upon number of goals. This page was last edited on 19 March 2019, at 18:44.